I live in South Carolina where the weather changed from almost uncomfortably warm to hot and humid some time last week. During the oppressive heat season, the only foods that appeal to me are fresh and crunchy and light. 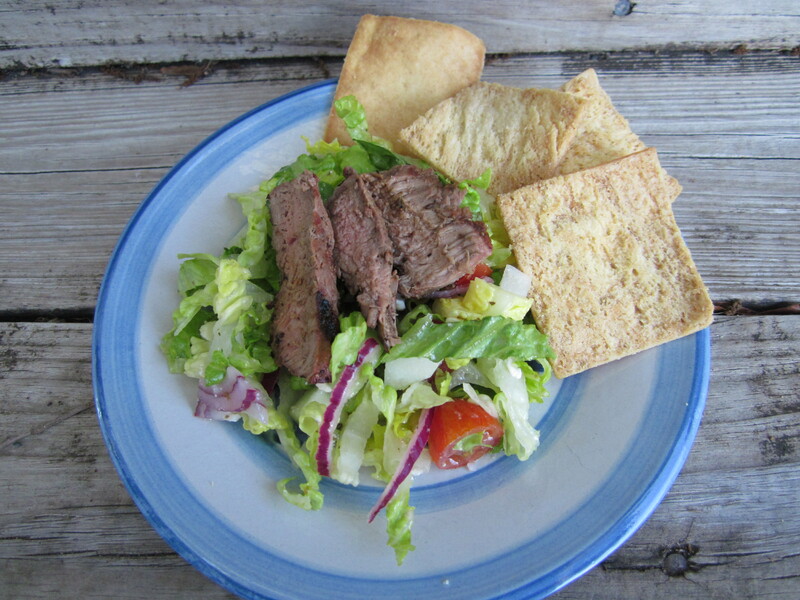 As a result, we have been eating variations of a Greek salad quite a bit lately. The reason I love the Greek salad so much is because of the dressing. 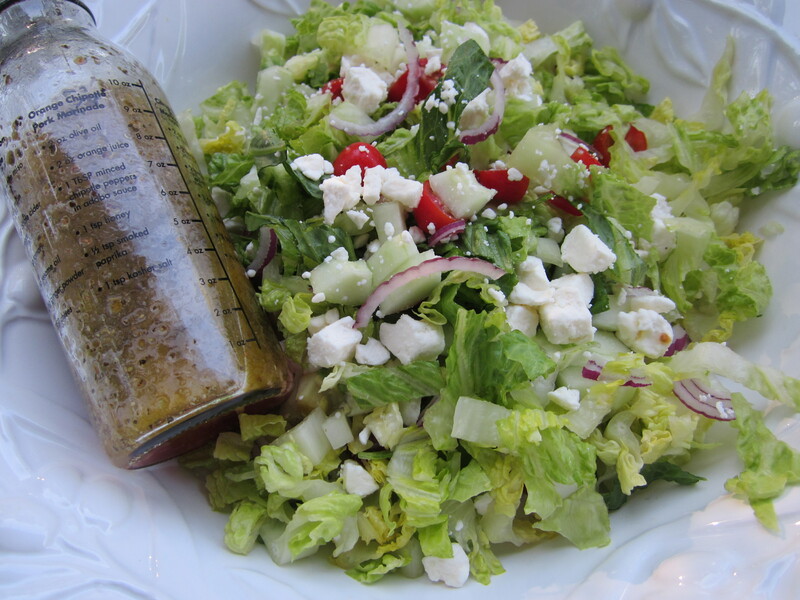 When you search Greek salad dressing recipes, there are many options. I took a few recipes that were similar and combined parts using the herb combination I liked best. The finished dressing is tart and tastes great with steak or chicken. If you are looking for a light summer meal, put together a chopped Greek salad. Leave the dressing off and make some individual portions to bring to school or the office for your teacher or work lunch. Add the dressing when you are ready to eat. Mix together dressing ingredients and shake in a jar or use a whisk to combine. Set aside. Put chopped lettuce in a serving bowl. Top with cucumbers, tomatoes, and purple onion. 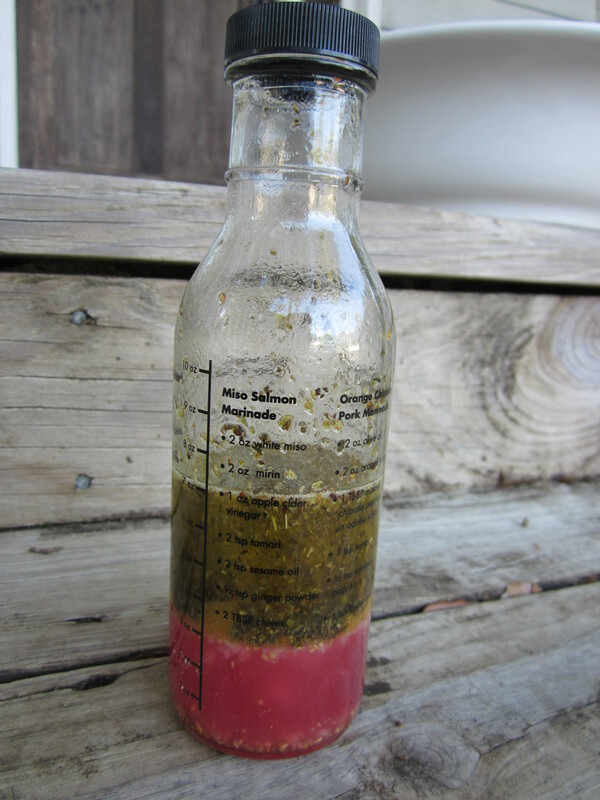 Mix salad dressing again if it has separated and pour over salad. Toss well until ingredients are covered evenly with dressing. Sprinkle feta crumbles on top. Serve with sliced meat and pita chips. Other ingredients you could add are calamata olives or mild banana peppers. I like my lettuce chopped into small pieces because I think it tastes better that way. The dressing really covers well. This makes a great teacher lunch. Assemble in individually sized tupperware with the dressing on the side. Pour the dressing over when ready to serve, put the lid on firmly, and shake. For more great salad options, read about my favorite FRIED CHICKEN SALAD or TACO SALAD.